Two suspected unidentified communist rebels perished in a clash, three high powered firearms recovered. 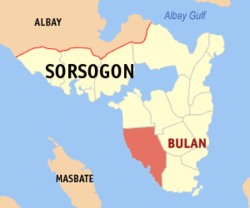 Bulan, Sorsogon, [09.27.18] – At least two suspected members of local communist terrorist groups was reportedly killed in a clash tonight in the vicinity of the boundaries of Barangay R. Gerona and Barangay Recto, Bulan, Sorsogon, a police report said. The clash between the elements of the 31st Infantry Battalion, Philippine Army and more or less 15 members of the communist terrorist group [CTGs] has engaged in an armed encounter at 6:00 in the evening. The troops of the 31st Infantry Battalion, Philippine Army who is conducting a combat patrol operation when they chanced upon the enemies particularly the members of Larangan Gerilya 2, Kilusang Probinsiya 3, Bicol Regional Party Committee [BRPC] led by Ernesto Firmanes alias Noah . The 20 minutes armed encounter has resulted in the deaths of two suspected rebels with no reported casualty on the government side. Identities of the casualties are not available as of posting time. Government troops have recovered two 5.56 mm [M16] rifles and one 7.62 mm [M14] rifle in the encounter site. Elements of 2nd Sorsogon Provincial Mobile Force Company and Bulan Municipal Police Station has conducted a checkpoint/chokepoint operation in the areas where the enemy will use as the possible route of withdrawal.